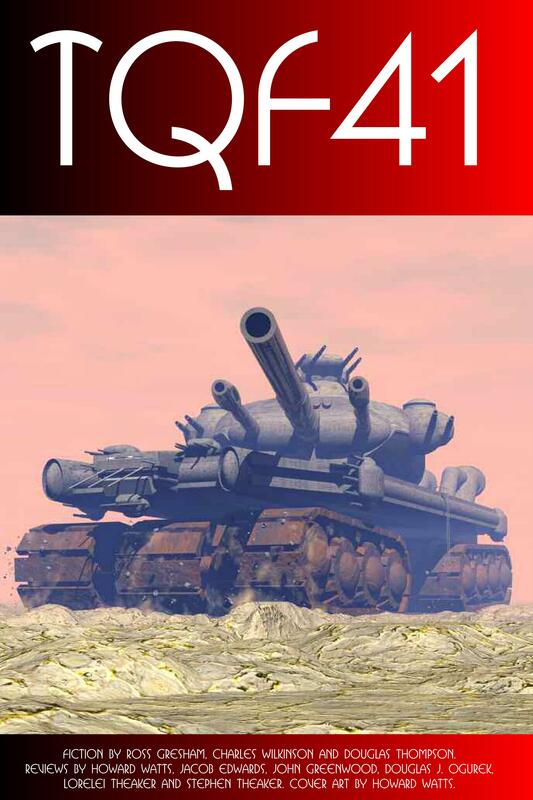 Theaker’s Quarterly Fiction #41 is out now, featuring stories by two Dark Horizons contributors â€“ “Milo Don’t Count Coup” by Ross Gresham and “DogBotâ„¢” by Douglas Thompson â€“ as well as “Notes on the Bone” by Charles Wilkinson. It also has a fifty page review section. Creators reviewed include Lavie Tidhar, Joseph Pulver, Gareth Roberts, John Brunner, Liz Williams, Tom Gauld and James Kochalka. The magazine is available as a free download and a cheaply-priced paperback. Theaker’s are also making two of their books available for free for the next five days.